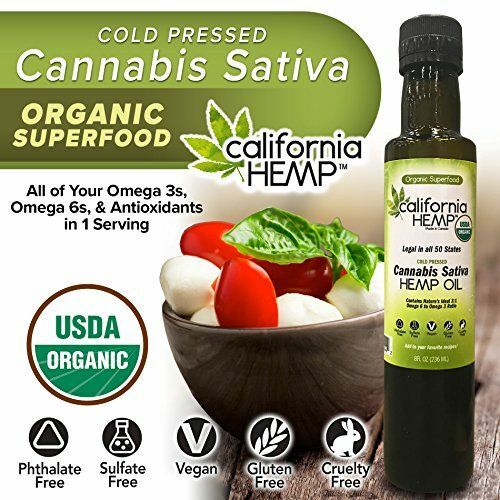 PURE HEMP OIL – California Hemp Oil contains 100% unrefined cold pressed pure hemp seed oil that is certified USDA Organic. It does NOT contain any CBDs and is LEGAL in all 50 states! 3:1 HEALTHY FAT RATIO – California Hemp Oil has the perfect 3:1 ratio of essential Omega 6 fatty acids to Omega 3 fatty acids and contains 6x more healthy fat than avocados, 40x more than coconut oil.